Light reading can be enlightening. The still-developing genre of Buddhist fiction remains loosely defined. But when a novel’s main characters are all Buddhists, most of them grappling with some aspect of their faith and practice, such a book obviously meets the definition. Such is the case with Buddhaland Brooklyn (Scribner, 2012). In all of these respects, Buddhaland Brooklyn succeeds. And while the story is, in a narrow sense, about the intersection of Buddhist belief and practice with lived reality, it has much broader implications: a Catholic priest thrown into another culture, for example, may face challenges similar to those faced by the Japanese Buddhist priest in Morais’ tale. Indeed, anyone coming into an unfamiliar setting with an agenda will find himself or herself so challenged. The narrator of the novel is Seido Oda, a priest of the fictitious Japanese Headwater Sect of Buddhism. He begins the story with his childhood in a small mountain town, where his family owns an inn that primarily caters to pilgrims to the Headwater Sect temple nearby. Although his brother longs to become a monk while Seido himself feels no calling, he, in fact, is the sibling inexplicably given over to the temple while still a young boy. But not long after he leaves home, a tragedy befalls the family and Seido silently carries the guilt about what happened in his absence into adulthood. Seido Oda becomes a quiet but stubborn priest who specializes in teaching art and has found his niche at the temple while going out of his way to avoid any surprises in life. But when his superior tells him he must go to Brooklyn to help the believers there build a temple, he is incredulous. Surely there is someone better for this task! No, his superior insists, there is no one else. ‘Don’t let the title deceive you. Heavier than it sounds. Excellent text.’. . .
‘I see . . . . very interesting choice of doctrinal material.’. . .
‘Yeah, well, you’ll find things go a lot quicker in America.’” (pp. 86-87; ellipses added). The Brooklyn setting, too, is keenly observed, with all of its abundant chaos. But as Oda changes, the way he sees Brooklyn changes as well, reflecting the key theme of the novel – that we make our own reality. How is Oda’s experience as a child and a young man in Japan a set-up for what happens later, in America? Do you think Oda’s superiors sent him to Brooklyn because they knew what he needed? Do you think a Buddhist priest coming to America for the first time would experience Americans the way Oda experiences them? How much is the way Oda experiences the United States a product of his unique personality and how much is common to the Japanese character? Because the story is told in first person, the language the Oda character uses to describe his experiences is very important in conveying his inner world and how it changes. Do you think Morais succeeds in conveying these changes? Although it is extremely unlikely that a Japanese who has never lived in any English-speaking country would understand the idiomatic slang with which Oda is confronted when he lands in New York, it would not be funny to have the character constantly saying, “Sorry, I don’t understand.” Is artistic license justified here for the sake of some good laughs? If you are American – and especially if you are a New Yorker – were you insulted by the stereotypes in the book? Do you think they were accurate? Do you think Morais can get away with this because he himself is American? Although Morais avers in his Acknowledgements that the Headwater Sect of Buddhism is fictitious and based on a variety of sources, some not even Buddhist, he also says in at least one interview that astute readers will notice similarities to Nichiren Buddhism (and points out that many already have). In what ways does Morais capture the essence of Nichiren’s teachings? Are there ways in which he doesn’t? Based on your experiences of Buddhism in general, does Morais get the doctrine right? How does the language Morais uses to describe Oda’s inner experience convey the changes he goes through? Do the numerous haiku in the story enhance it? If so, how? We love to get comments! Let us hear your impressions of this book. “Seido Oda spent his boyhood in a small mountainside village in rural Japan. When his parents hand him over to the monks at the nearby Buddhist monastery, he devotes himself to painting, poetry, and prayer—and avoiding human contact. But his safe and quiet existence is unexpectedly upended when he reaches middle age and is ordered by his superior to open a temple in Brooklyn. Check back in a couple of weeks for a more thorough discussion. Happy reading! Posted in Buddhist Fiction, Currently Reading . . . 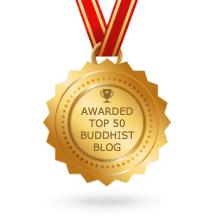 This blog was created for readers of Buddhist Fiction and, hopefully, will serve as space to share thoughts about books and short stories of Buddhist Fiction, or even about the very idea that a grouping of popular fiction novels and short stories can be labeled Buddhist Fiction. Below is a list of "Buddhist Fiction Books", novels and short stories that have been labeled Buddhist Fiction by “literati”: publishers, reviewers, readers, bloggers, and authors. If you know of any "Buddhist Fiction Books" that you think should be added to this list, please send an email to me here.